BE WARNED: Mark Harrell is a dangerous character. 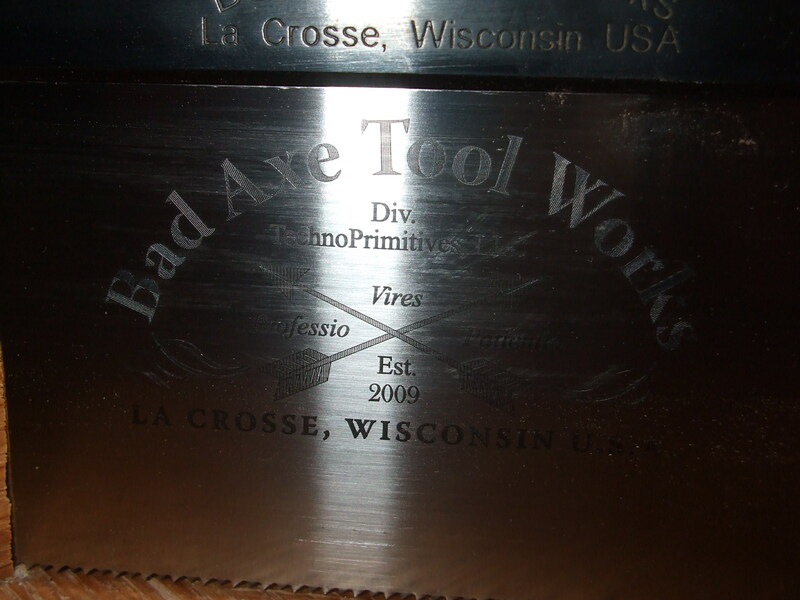 Not only because he is a retired Special Forces Colonel and could probably kill you with a tooth pick, but also because he is now the purveyor of fine back saws at BadAxeToolworks…and quite frankly, to an obsessive saw nut like myself, that is the more foreboding distinction. Now, If you’ve never been the recipient of one of Mark’s saws, then prepare yourself……and I literally mean to prepare yourself, because opening one of his shipping packages is an experience that I can only relate to high school. How’s that? Well, because just like my 10th grade girlfriend, you’re going to need a good 45 minutes of cajoling, levering, tearing, fighting and lubricating to get at the goodies contained in the box. No kidding….Mark packs his saws for shipment like there’s a chance they might fall off the truck and get used for target practice….with a rocket launcher. Let me tell you, it’s a good thing Mark only uses environmentally friendly packing materials, because if he didn’t, he’d single-handedly be responsible for deforesting a small South American nation. So rest assured, if you make the grave mistake of welcoming Mark into your otherwise quiet life by ordering one of his saws, then at least you know the saw will arrive as safe as a new-born babe upon your steps. After that, however, your life will never be the same. Before I share with you my impressions of the saw, I should make a full disclosure: At first, I wanted to hate this saw. I really wanted to find things wrong with it. I wanted to use it and dislike it from the first moment I let it cut wood. Why? Because maybe as a born skeptic, when I hear nothing but positive things about a product, or person, or theory, I think that people are just being duped. So, I wanted to be the guy that bunks the collective impression. Call me a subversive. Well, damn if I wasn’t duped too. Upon the first moment I held this saw I was sold. Not only is the tote nice, but the whole aesthetic of the saw is amazing. This saw looks like no other saw that I’ve ever seen. Mark calls them his Darth Vader saws…and I would say that is an apt moniker. I could prattle on about the looks of the saw, but this isn’t a tool fashion blog, it’s a sawing blog. So how does the thing cut? Here’s a few more: Smooth. Sweet. True. Effortless. 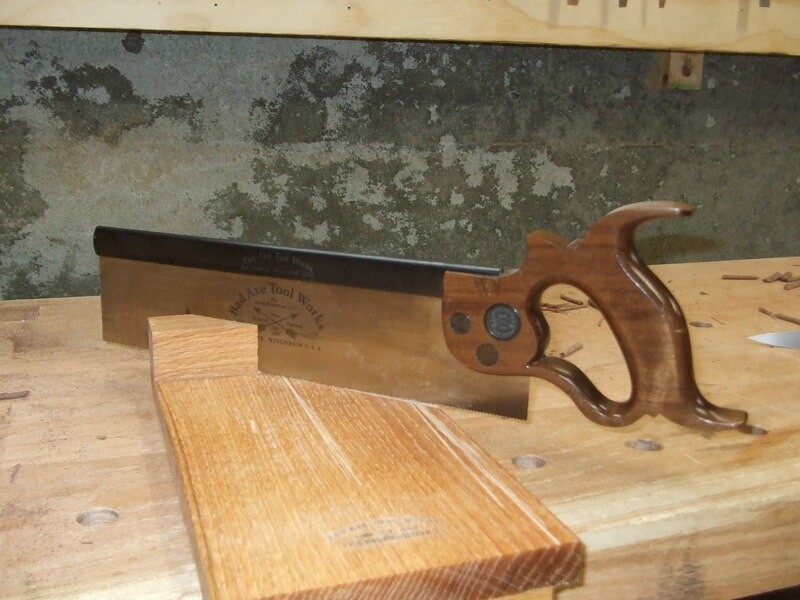 This saw is amazing….and I mean that in its literal sense…it amazes me the level of refinement and subtle perfection that Mark is able to build into this saw. In fact, to even call it a dovetail/small tenon saw is perhaps an insult…it is capable of so much more. 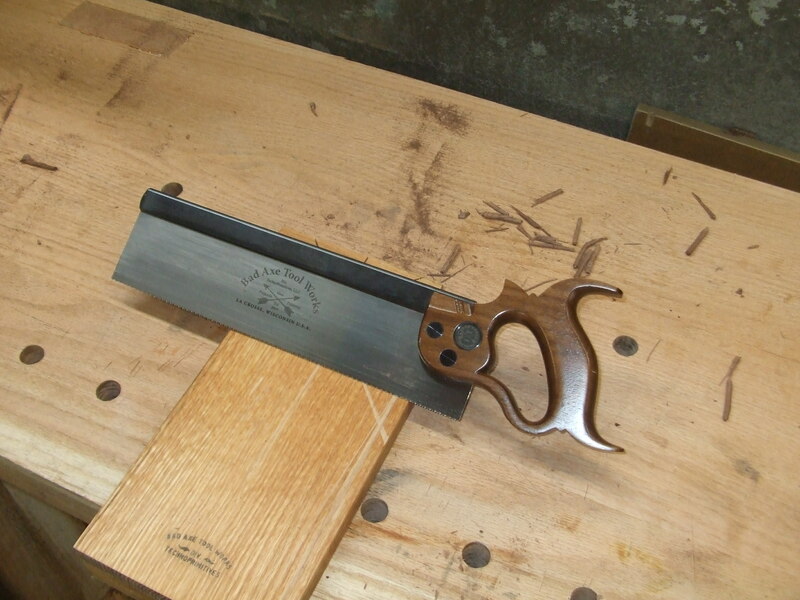 I used this saw to make deep ripping cuts for tenon cheeks in cherry, walnut and maple….the saw flew through the wood like balsa. I made cross cuts in 1/4 inch thick strips of purpleheart, oak and locust….very splintery, hard woods: the saw handled them with noteworthy adeptness and even left an acceptable finish thanks to the 5 degrees of fleam on the teeth from Mark’s well-seasoned filing skills. I was so struck with the smooth action of the saw that when I first used it, that it took me about 20 minutes to remember I was trying to hate it!!! Well, try though I did, I could find no flaws in the tool. So, now after trying to convince myself I don’t need another saw (a most ridiculous exercise in futility!) I find myself fully enamored with this most Bad Axe Saw, indeed. So, now that I’ve told you the story of Mark Harrell, do you finally understand why he is such a dangerous character?!?!? He is one of the notorious “Tool Pushers” that Chris Schwartz so vehemently warns us of!!!! Your shop is not safe from his saws!!! Your bank account is not safe!!! Your wife will hate you (more)!!! You will never see your children again (you’ll be sawing all day and night)!!!! You’ll grow a long, scraggly beard and stop bathing (what few people congregated with you before will now most surely be scared off)!!!! Lock your doors!!! Turn off your phone!!!! Cancel your internet connection!!!! Don’t pay your tool club membership dues!!!! Stay away from the lumber yard!!!! Don’t bring in your mail!!!! 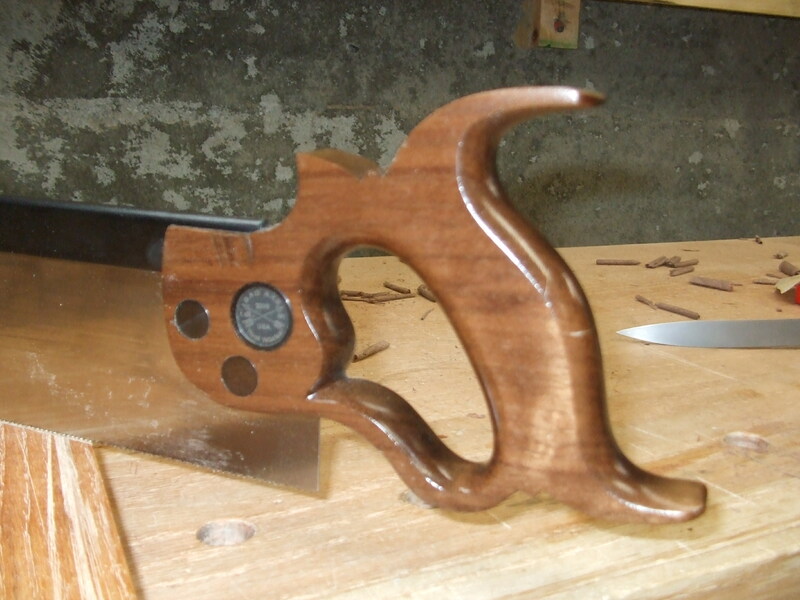 And whatever you do, do not, under any circumstances go to http://www.badaxetoolworks.com/ and look at Mark’s saws. Matt, thanks for the review. I corresponded with the Colonel some time ago, and he offered (as he does with all his customers) to determine the best saw, for the work I intend to do. Another year or so of this tom foolery in A’stan and I’ll be on the receiving end of the Colonel’s steel and walnut wonders! Sounds like you’ve got it all, Julio! I’d be happy to see your video…great idea!